Churches have always used stained glass throughout history in an effort to teach the illiterate about the Bible. This tradition has lead to some of the most impressive historical stained glass pieces that truly are pieces of art. For art lovers and stained glass enthusiasts alike, traveling around the world to see these features in person can definitely be tempting. Our top five gorgeous stained glass churches on our bucket list should definitely be considered for your travel bucket list. Sainte-Chapelle in Paris has 15 Gothic-style stained glass windows that are each about 50 feet in height. 1113 individual stained glass panels make up these 15 windows offering intricate detail work, each depicting a different scene from the New and Old Testaments. King’s College Chapel located in the University of Cambridge has incredible narrative stained glass windows. With religious and royal motifs, these stained glass windows deliver an inspiring look for the advancements of England’s Gothic art movement. The Nasir al-Mulk Mosque, also known as the Pink Mosque, located in Shiraz, Iran is one of our favorites– with beautiful, symmetric stained glass throughout its facades, the brilliant colors are truly breathtaking. The vivid colors enhance the interior’s rose-colored tiles and Persian carpets. La Sagrada Familia in Barcelona has multicolor stained glass windows that range in rainbows and grand aesthetics. The Thanks-Giving Square is a non-denominal church that features a beautiful seashell shaped stained glass window filled with vibrant colors. Church Stained Glass Restoration is honored to deliver our renowned restoration process for properly preserving your church’s stained glass windows. Our vision is to protect these works of art so that future generations can appreciate them as well. For more information regarding religious stained glass restoration for your church, please contact us! The US was relatively late to the stained glass game–given that settlers from Europe got here in the 1600s and stained was “invented” somewhere around 1000 AD. However, this artform permeates the American church culture and is a prominent feature on many homes to this day. However, the Puritans rejected the religious imagery of the Churches of England, so almost no glass is left from the colonial times –as much more was exported than created for churches here in the US. In fact, less than 1% of the Nation’s stained and leaded glass predates 1700. However, the 1700s is what is called the golden age of stained glass in Europe and by the early 1800s an intense interest in the craft arose again in and production began to increase steadily throughout the century. The most significant early stained glass piece in America was by John and William Jay Bolton between 1843 and 1848, called St. Ann and the Holy Trinity. Louis Comfort Tiffany: Known for his designs of richly colored works of glass in the art nouveau style and also a type of iridescent glass called Favrile. Frank Lloyd Wright: A pioneer of geometric representations of natural motifs and use of angled glass. 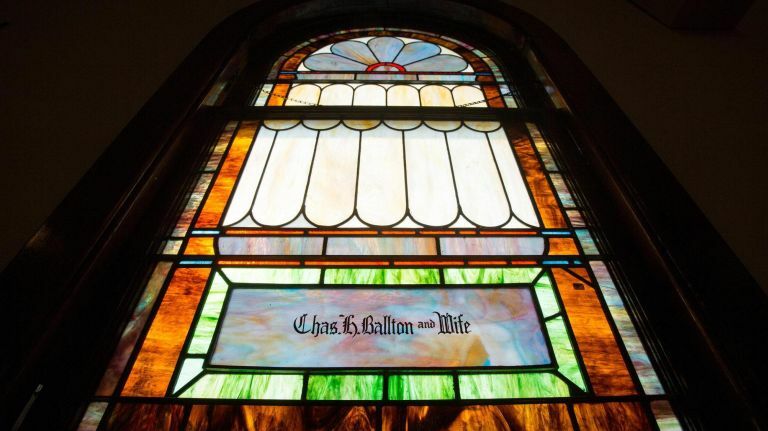 While the “great age of stained glass” has ended, there are still many, many remaining stained glass windows remain all over the country today. It is this rich history of stained glass in the US that we here at Church Stained Glass Restoration work to preserve everyday. If you have a vintage stained glass window in your church that you would like us to inspect for restoration, reach out to us today to schedule a consultation. You may have noticed many beautiful churches across the country whose original stained glass windows have succumbed to age and the elements. At the 80-100 year mark, even the best stained glass from the early 20th century begins to disintegrate. These fragile glass panels are too easily broken or cracked by harsh weather, frames bow over time, and the leading begins to sag noticeably. But, as technology and expertise have advanced over time, we can now restore these crumbling monuments for another 150-200 years. This is no small feat, and we invite you to investigate how to move ahead. What Will Your Church Stained Glass Restoration Cost? Church stained glass restoration is delicate work, and can quickly run into the thousands. But, the splendor restored to the church not only serves as a blessing to the congregants but preserves and draws attention to the rich historical context that surrounds that church. When contemplating if a stained glass restoration project is right for your church, a thorough estimate is a necessity. How Long WIll The Restoration Take? We at Church Stained Glass Restoration understand very well the time and expertise required to completely and beautifully rejuvenate your stained glass treasures. Please understand, that there’s no royal road to accomplish this! One should consider that the repairs will take time, so please think about how temporary windows that could be in place for several months might affect daily routines. We just want to you to be fully prepared with a complete estimate that truthfully includes the “down-time” while your stained glass windows are restored. How Will Your Church Raise Funds For Restoration? If the windows are badly in need of repair, large, or many, the costs for such a project can grow pretty rapidly. An open discussion with your congregation can be a fruitful place for fundraising ideas! At Church Stained Glass Restoration, not only have we done impeccable work for many satisfied clients, but we have been fortunate enough to work with several churches on their own fundraising efforts. We’d love to share our ideas with you! The processing can seem daunting and technical, but please reach out to us with any questions big or small, at Church Stained Glass Restoration can help your church recapture its due glory! Our Stained Glass Process from Church Stained Glass Restoration on Vimeo. You have stained glass windows in your church, your congregation is not only blessed with a beautiful piece of art, but also an important part of history. Stained glass windows have been a traditional part of church architecture for decades and continue to be incorporated into modern church designs today. But where did worshipers get the idea to add stained glass to churches in the first place? How come stained glass windows show up in churches more often than another type of building? An examination of the history of church stained glass shows us that these traditional works of art were used for more than just aesthetics. Stained glass windows had a very practical role in the church and continue to do so today. The fact of the matter is, Church stained glass restoration can be an expensive undergoing. But it is very important to note that these types of revitalizations are critical to the history of American churches of any denomination and a way to breathe new life into congregations. They are, in addition, simply a joy to parishioners. So, for churches across the country with history and love for their chapel, stained glass restoration should be a very real consideration. A perfect example of how amazing stained glass restoration is for churches and their members is can be seen by the sanctuary restoration of Bethel A.M.E. Church, located in Huntington in NY. This charming historic church has the distinction of being Huntington, NY’s oldest African American church and that carries with it deep historical and a fair amount of sentimental significance too; both for the area and for the African American community. The project cost about $50,000 and took two years to complete. However, as the parishioners discovered, it carried deep meaning as they ended up feeling like they had directly contributed to preserving more than just their windows but their culture too. In the end, they got the windows they cherished back into stunning shape while at the same time paying homage to bygone parishioners who had put so much into founding the church and installing the original stained glass windows. As you can see from the pictures, the stained glass windows in the sanctuary at Bethel A.M.E. were simple but lovely. They are prime examples of the 1920s era, as they were constructed in 1924. Over the years the condition of the stained glass windows had deteriorated to the point that in 2016, Rev Larry D Jennings made a decision to rescue them from their broken down state. He did this not only because the window really needed it but because he and his church body understood the history, culture and artistic value of them. It was also, as they saw it, a good way to respect the church members of the past who likely sacrifice for them to be installed. Stained glass restoration can be an expensive undertaking, as well as finding funds a challenge. But as Bethel A.M.E discovered–very much not impossible and definitely well worth it. In their case, a town historian, Robert Hughes found grants from the Robert David Lion Gardiner Foundation for $20,000, them the Sacred Sites program of the New York Landmarks Conservancy for $10,000; and finally The Gerry Charitable Trust for $5,000. The rest of the costs were covered by the congregation members donating money themselves and results are clearly inspiring. If you have a church anywhere across the USA with old stained glass windows that your church members just love, perhaps it is time to consider having them restored as a way to breath new life into them and your congregation. Here at Church Stained Glass Restoration, we work on churches all across the country and we will guide you through the process, costs, and even fundraising too. Contact us today for more information and for a free consultation/stained glass inspection. Church stained glass plays such a significant role in every community. It creates a constant ray of inspiration during sermons, personal prayer sessions, and services. Not only does religious stained glass offer so much sentimental meaning for flocks, it also provides historic and antique value. Preserving these works of art throughout the nation is important for so many different reasons. Does your stained glass need a little love? Not sure if it’s ready for repairs, restoration, or replacement? Here are some signs! Minor scratches and surface damage usually requires repair– these repairs can be completed without removing your stained glass windows. Restoration is required every 75 to 100 years, giving churches a good time frame for planning. If you see any cracks, missing pieces, discoloration, disintegrating lead, softened lead, etc. these are all indicators that your stained glass is ready for restoration. Restoration is needed before too much damage occurs and replacement becomes the best financial option. While most stained glass can always be restored for a price, there comes a point where replacement can be less expensive than restoration. A cost-benefit analysis can be completed by a professional stained glass artisan, showcasing which option is cheaper. Church Stained Glass Restoration is the industry leader in repairs and restorations. We’re happy to evaluate your stained glass to help determine if you need in-house repairs, full restoration, or complete replacement. Choosing the wrong stained glass studio can lead to further expenses and an unsuccessful outcome. Experience proper, meticulous restorations that can add another 100 years to your stained glass’ lifespan. Our renowned techniques can restore stained glass from any time period. For more information regarding church stained glass repairs or restoration, please contact us! 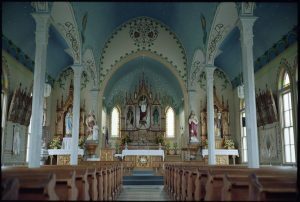 An absolute must when visiting Texas is to go and see the legendary “Painted Churches” which are the pride of the state. Painted churches are historic chapels and churches painted by German and Czech immigrants, in bright colors and bold patterns to celebrate their continued success as a pioneer and to keep spirits high in times of trouble. Better than visiting a single church– book an entire tour with the Schulenburg Chamber of Commerce. 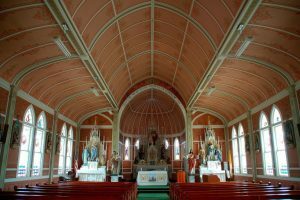 They have a wealth of knowledge about the area’s painted churches and will provide you with one of the most spectacular tours Texas has to offer. They are also well rated on Trip Advisor and other review sites–so you know you will get your money’s worth (typically a $10 fee) As stained glass professionals here in Texas, Church Stained Glass Restoration appreciates the preservation of such amazing historical treasures like the painted churches. So much so, that we decided to write about a few of the best churches included in the tour and their stained glass windows too. This gorgeous vintage church is Nicknamed the Pink Church. Built in 1907, it is technically the third church built on this site since the two before it was destroyed by natural disasters. The current stained glass windows are simple but breathtaking with hints of the previous Gothic Revival-style of architecture they were built in. The Saints Cyril and Methodius Church were actually designed by is famed architect Leo Dielmann after the original church was destroyed in 1909 by a hurricane. Dielman’s designed 100 churches in Central Texas and it is easy to see why he was so sought after as the stunning stained glass in Saints Cyril and Methodius is surrounded by the most beautiful interiors of almost any Texas painted church. St. Mary Catholic Church in High Hill has a brick exterior with a wooden interior unlike many other churches in the area. This is due to church leadership encouraging communities to build churches out of brick or stone since so many were destroyed by storms and fires. St. Mary was also designed by famed church architect Leo Dielmann and, in fact, was the first church designed by him. Once again his Gothic Revival style is evident by the decorative painting on the ceilings and even the stained glass in said Gothic style. Here at Church Stained Glass Restoration, we have restored a number of churches similar to the amazing chapels above. As restoration experts, we cherish the long church and stained glass history in the state of Texas and would love to work with your church if the need is there. For more information on stained glass repair or restoration in all of Texas, contact us today! New England has many shining examples of stained glass and First Congregational Church in Greenwich, CT is home to some of the best in the state, if not the country. This glass is also a shining example of the stunning results of church stained glass restoration, as their glass was restored in 2008 and 2009. Their stained glass windows are as magnificent as they are plentiful and are great examples of work by numerous artists such; J&R Lamb Studios, Helen Sickles Hull and Marguerite Gaudin to name a few. As lovers of church stained glass and church stained glass restorers ourselves, we have highlighted some of the most lovely windows for our readers to enjoy. 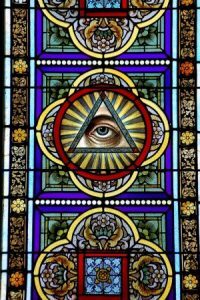 Look below to enjoy some of our selections fromThe First Congregation’s gorgeous online stained glass window tour! Designed and created by Willet Studios in 1960 this stained glass window is the epitome of inspirational church stained glass. Beyond the amazing fact that this window literally comes alive as the sun sets when sculptured gold” elements begin to shine inside the chapel meetinghouse, is the fact that this window has imagery representing everything from Palm Sunday to ash Wednesday and from Pentecost to all four gospel saints: Matthew, Mark, Luke, And John. The North Transept Windows of the First Congregation Church were installed in 1896. These windows are truly beautiful to behold. The skill in which they have been created, showing realistic flesh colors, hints at the possible creator being John Singer Sargent. Regardless, the bold colors are enchanting and the biblical scenes striking–explain why this one of the most admired in the church’s collection. As you can see through the pictures and descriptions above, church stained glass has the power to memorialize, inspire and enchant. A convincing reason why churches here in the US and around the world should keep theirs in good repair and restored when needed. For more information about church stained glass restoration, repair and pricing contact us today! Here at Church Stained Glass Restoration, we have locations across the country and would love to bid on your church’s restoration. The world’s stained glass is rapidly declining and, as such, stained glass window restoration is becoming a popular avenue for churches to take. It is also necessary if there is any hope of preserving these wonderful pieces of history since much of this country’s religious stained glass has been exposed to the elements for over 100 years–, at which age deterioration forces repairs and restorations. How Do I Know What Restoration My Churches Stained Glass Needs? The best way to fully understand what type of repairs and restoration your church needs is to call a professional, like us at Church Stained Glass Restoration and have them inspect your window. After our inspections, we will be able to you tell which parts of the frame needs to replacing, which glass pieces of glass need repairs and which others may just need to be replaced. We will also examine the protective glazing system (if applicable) and take pictures of our findings. After we examine your church we will write up a thorough bid that details the time and cost for items like replacement of broken glass, fixing loose braces, cleaning glass in place and removing glass for repair in our studio.  We will also give you a very accurate idea of how long the repairs will take in light of your individual scope. When we do need to take glass into our studio the windows are carefully removed from their framing, carefully wrapped and transported to our for restoration. Here the panels are disassembled, lead is removed and recycled and every glass piece is skillfully cleaned and repaired. The glass is then returned to your church and delicately installed back into position–looking as lovely as did 100 years ago! If restoring your church’s stained glass is something you are interested in, please reach out to us at Church Stained Glass Restoration today! We have stained glass locations across the US and would be happy to bid on your upcoming project. For centuries, stained glass has been the dominating art form used in religious architecture. Since Early Egyptian times, humankind has used colored glass to bring beauty and elegance to religious settings. As attendees of morning mass and religious ceremonies stand beneath the vibrant, light reflecting windows, they are filled with a sense of wonder and inspiration. Just seeing the stained glass itself is almost a spiritual experience. Today, beautiful stained glass windows adorn churches and cathedrals across the globe. Notable works include Sainte-Chapelle, Notre Dame de Paris, La Sagrada Familia, and more. But you don’t have to go far to see beautiful stained glass. In fact, there are many churches in the United States that have breathtaking stained glass windows. If you’re a fan of stained glass or a church that’s seeking inspiration you’ll love these Texas churches with stained glass windows.